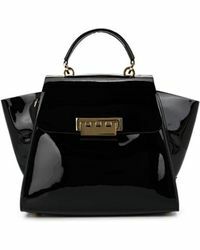 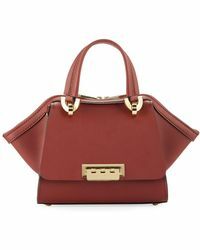 Infinitely chic, yet practical and easy to wear, a tote bag from ZAC, the diffusion line of the American designer Zac Posen is the perfect edition to any closet. 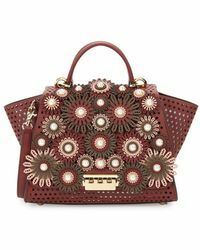 Demonstrating the same signature style of the designer's main line, these tote bags utilize the same playful use of color, print and texture that gives the line a glamorous vibe. 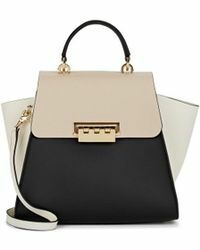 Rich colors and detailing give an instant update to a line of bags that exude a timelessly chic and elegant appeal, for accessories that are as fashionable as they are functional. 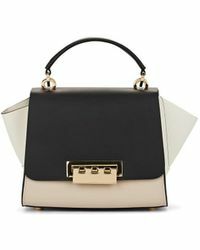 Eartha Iconic Mini Top Handle "pearl Lady"